Curling Myths: How do we calculate the Truth? I was recently doing some research on available documents related to strategy for Curling. Needless to say, there is very little available. I discovered Russ Howard is writing a book and, given the lack of current information, I’m looking forward to seeing if it includes much strategic material. If anyone can point me to other papers, articles or other strategy books, please send a Private Message to milobloom at Curlingzone, or post a comment here. I did come across a PDF document posted at a CCA website entitled 4rockstrat. In it, I read many of the common “traditional” ideas regarding basic curling strategy. The purpose of this article is to challenge some of its logic. I certainly hope the CCA plans on expanding their available material in future. It is clear the authors were trying, but the lack of detailed information is apparent. 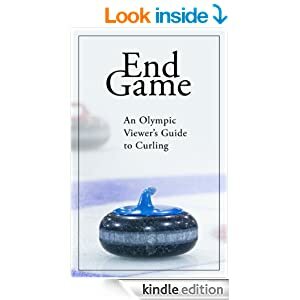 I will attempt to dispute a couple of the Myths this document supports and are commonly accepted by many curlers and fans. Most teams will attempt to implement a defensive game plan during this segment of the game especially as it pertains to avoiding high risk finesse shots. Remember, you do not have to score (steal) in the early ends without last rock to ensure victory. It is more important to keep the score close as you build your team’s confidence while learning the ice and assessing the abilities of the opposition. A general objective is to limit the opposition to scoring a single point when you do not have last rock. Even a two-ender is acceptable. Teams may be a little more aggressive in early ends when they have the advantage of last rock but generally speaking, still try to avoid risky situations that require the making of finesse shots. Last rock skips will also tend to play a defensive style of play as they build the confidence of their teammates while assessing the ability of the opposition and learning the ice. They will attempt to score their 2+ points to the side of the sheet but will not be overly concerned about scoring a single point, blanking the end or giving up a steal of one. The author comments in both cases about building confidence of your team and evaluating ice conditions. In today’s game this is less significant than years past. Consistent ice surfaces throughout an event, practice ice and the skill level of top teams lead me to believe this is minimal. If you’re a skip and worried about your team adjusting, then you won’t be competing at the highest levels. A deuce in the first end will result in a win 73% of the time (74% for an 8 end game). A three results in 85% chance and a four is 91%. A steal leaves a 43% chance to win, being 1 down with hammer after first end. A steal of two, though unlikely, still leaves a 27% chance to win and is no different (mathematically, perhaps not psychologically) than surrendering a deuce without last rock. Combining the significant advantage a large score gives you, with the greater odds, because of the number of ends remaining, to come from behind if a steal occurs, leads me to suspect aggression is the correct approach. Let’s try to use math to prove our theory. Notice that an 8 end game (7 ends remaining) does not change the outcomes much at all, so we will disregard for now. A nearly identical outcome. If we expect our chance of allowing a steal in the first end less than 30%, when playing Aggressive, we increase our chances further. For example, in Option 1 (Aggressive) if s=.2 and t=.4 we now win 62%. Given the early stages of a game, I suspect the differences in actual results between teams would be significant. For example, Kevin Martin will win higher than 60% if tied with hammer after 1 end and, I suspect, the lower teams on the WCT rankings would be the opposite. The more ends remaining, we would expect a greater discrepancy between teams. But as a comparison, the analysis shows us being conservative is not the correct strategy as believed, it is actually the same or slightly worse than being aggressive. The outcome for 8 end games is, oddly enough, nearly identical. When tied without hammer, starting the 3rd end of a ten end game, what strategy would we use? I expect nearly every team would choose to place a centre guard, and attempt to play for a steal. Mathematically, the 3rd end of a 10 end game is identical to the 1st end of an 8 end game. I’ll leave any further estimation to be done by the reader, as I am already convinced based on this fact alone. There is no doubt, risk of a deuce or three is high in the first end and puts us into a poor position. However, it doesn’t get any better as the game progresses and the more ends remaining to come back, the better our chances. A team without hammer should play the first end to steal or force opposition to one. In my opinion, the best way to achieve this is by aggressive play early (centre guard, draws to middle of house). It is perhaps simplistic to say Aggressive vs. Conservative play. Commonly a team may move from one strategy to the other, and back, during a single end. However, the common misconception that supports conservative play in early ends does not appear correct. A general objective is to limit the opposition to scoring a single point when you do not have last rock. Even a two-ender is acceptable. The author then goes on to suggest placing the first rock of the game in the four foot! Per Myth 1, this is not the approach I would recommend. So, is surrendering a deuce acceptable? From Myth 1, we now know down two after the first end puts us at a 26% or 27% chance of winning (based on 8 or 10 end game). This doesn’t sound acceptable to me. We may need to surrender a deuce because that is how the end develops, but we certainly should not play the end to make a deuce acceptable. Let’s take a scenario where two rocks remain in the first end and we do not have last rock. Our team has missed a few shots and we are in trouble. Our opposition, holding hammer, lays two. One rock is open in the twelve foot; the other is partially buried in the top four foot. We can hit the open rock and surrender a deuce or try a corner freeze on shot rock to force the opposition to 1. What percentage do we need to succeed to make the draw the correct call? We’ll use the statistics from 8 end games for this analysis. The team with hammer either scores three or is held to one. The chance for a steal or deuce is considered negligible. We need to make the draw greater than 40% of the time for it to be correct call. Given skills of top skips, I would suggest the correct play is the draw and “accepting a deuce” is not the correct decision. Better to risk a three at the possibility of forcing opposition to a single. It is a commonly held belief that when playing a team that is stronger than yours; play conservative, keep the game close and hope to win a close battle at the end. The U.S. team in the 2007 World Championship appeared to use this strategy to perfection against Team Canada during the round robin. I don't entirely agree with this approach and will attempt to explain why….in another article. Ontario’s Glenn Howard squad had a spectacular Seasons of Champions run in 2006-07, going undefeated throughout the Ontario playdowns, and losing only a single round-robin game at the Tim Horton’s Brier and the Ford World Men’s Championship. Earlier in the season, they defeated Edmonton’s Randy Ferbey in the finals of The Masters, one of the four Grand Slam events. An intriguing situation occurred during that final, showing that even the best teams in the world are not always certain of the “correct” strategic decision… even when faced with a common scenario. It is the sixth end of the new Grand Slam format – eight-end games – and there are only two ends remaining. Howard has the hammer, the teams are tied at 3-3 and Randy Ferbey, throwing third stones, has just placed his first stone behind a centre guard. It is hanging on the back side of the button. These are the only two rocks in play. The first indication from Glenn is for third Richard Hart to throw his lefty out-turn (in-turn for a right hander) and draw to the face of the Ferbey stone, to possibly sit shot-stone. While sitting in the hack, Richard sees another option – a soft hit on the Ferbey stone situated out of the rings with his in-turn, and roll to the open. After much debate, they agree to hit the Ferbey stone. The decision centers on whether the preference is to aggressively play for a deuce – at a risk of a steal or possible single point scored – or to play conservatively, to increase the possibility of a blank end, in order to keep last-rock advantage in the seventh end. The outcome, at this stage, is unimportant, the question is: what is the correct call? The dilemma Team Howard faced is very common. With three ends remaining, tied with hammer, what position would I prefer to have going into the second-last end, and what risk should I take in order to get to that position? It is quite fascinating to note that at the highest levels of the sport, much of this decision is made on instinct or “situational analysis”… because, in fact, we can examine the decision using mathematics. Let’s attempt to analyse the situation based on available statistics and mathematical in-game analysis. To examine the decision, we need to determine all the Expected Results (ER) and Variables (V) to be included and state which are being omitted. ERs are numbers, in percentages, taken from existing statistics. Variables are numbers, in percentages, which are estimated during a game situation. Variables are based on the chance of making a single shot or the expected outcome following a succession of shots during an end. The ERs, Vs and related assumptions I used are listed below. I have indicated in each case which letter is used to represent each ER or V.
These Expected Results are based on available statistics for four-rock FGZ games played in the Brier, European and World Championships, Grand Slams and other WCT events, Provincial Championships, Olympic Games and Olympic Trials. In using these statistics, we assume skill is relatively equal, conditions are similar and shotmaking ability is similar. These assumptions are clearly debatable, but we disregard any difference in skill level amongst specific teams or events. · Richard attempts a soft hit and will not roll his shooter out if he removes the Ferbey stone. We assume Glenn Howard will have a similar chance at scoring one, regardless of the shot’s outcome. We also assume a deuce is not likely if Richard does not achieve shot-stone position. Both of these assumptions are, as always, debatable, but for our analysis we consider such possibilities negligible. This appeared to be a difficult shot. Let’s assume Hart will achieve shot-stone position 50% of the time. He might argue this point, but we’ll save that for later analysis. We’ll assume Richard will remove the shot stone ¾ of the time (75%). It would appear the correct call is the hit – but it is very close. If Howard believes Hart can achieve shot-stone position greater than 50% of the time, the draw would appear to be correct. If in Option 1, for example, Howard “gets shot” 60% W = 62% and at 75% W = 64.2%. We are using many variables in this analysis (5 and 7 respectively), which can lead to greater variance in our final numbers. For example, with Option 1, if we set d=40% and e=60%, W drops from 60.5% to 57.5%. And because we are examining a situation in which several (in fact seven) rocks have yet to be thrown, this analysis becomes very difficult. Your chance of winning with hammer increases from being 61% with five ends remaining to 75% in the last or extra end. If the team with hammer in the eight end (or sixth of an eight-end game) scores the deuce, their opponent still has a 15% chance of winning and, surprisingly, statistics show a 4% chance when three down with two ends to play. Statistics would indicate a team with hammer should ensure a blank or score to be in control with two ends remaining, rather than risk a possible steal. Let’s choose variables which represent likely outcomes, based on our approach to strategy in the third-to-last end. For example, if we play aggressively, our chance of a blank is estimated to be 0% and a steal is 30%. Based on my estimated variables, it appears the conservative approach, with three ends to play, is the preferred strategy. I’d be interested to see what percentages others might estimate for these variables. Once we have enough shot data collected, we may eventually be able to change these numbers from estimates to actual statistics. Going back to our original game situation, Team Howard appeared to be unsure of their desired outcome for the end. If top teams use statistics to analyse both in game shots and late game situations, they can be better prepared to make these decisions while “on the clock”. In case you don’t remember or didn’t see the outcome, Howard took one in the sixth, Ferbey took one in the seventh and Glenn made a great shot in the final end to win the game 5-4. The most interesting – ie. debated – shot call of the 2006/07 curling season was that of Newfoundland’s Brad Gushue during the seventh end of the Brier final versus Glenn Howard. The Gushue team, despite missing the grizzled veteran of their gold medal win at the 2006 Olympics – Glenn’s brother Russ – were on the verge of adding a Canadian championship to their resume. After getting off to a rocky start at 1-3, the young foursome from the St. John’s Curling Club in Newfoundland had reeled off eight straight wins and was now in control, tied with the hammer, with four ends left to play. The critical seventh end came down to a decision of whether to attempt a difficult double-takeout for a possible score of three, or take a single point via the much easier shot of hitting the open stone belonging to the Howard team. The stakes were high as the Ontario team currently sat two, and any miss by Gushue could be disastrous. The reward of a three-shot lead and near certain victory, it seemed, was too great and the decision was made to play the double take-out. Ultimately, crashing on a guard led to a steal of two for Ontario and eventually a Brier and World Championship for the Howard team. Mathematically, how do we analyse this situation, and what was the correct call? Gushue will be successful 100% of the time if he chooses to hit the open stone. Newfoundland will always score 1 point. Recalling the situation, the target stone belongs to Team Gushue. They are attempting to jam it onto a Howard stone (removing it), roll to another Howard stone (also removing it) and keep the shot stone, the target stone and a third Gushue rock at the back of the house all in the rings. In discussions following the game, opinions were varied. Many people believed the double for three may not have been possible, that Gushue at best could score two (possibly spinning the target stone out of play). The outcome made this evaluation more difficult. By wrecking on the front guard, fans were unable to see what would happen if Gushue were to hit the target stone. In future, technology may allow us to study the behaviour of stones and, by mapping location, use a computer to determine the outcome of a shot. This type of analysis is likely possible now… however, the work required would be significant and I am doubtful the various curling governing bodies, would approve. Can you imagine if Gushue were to call a time-out and have his coach, sitting in the stands with a computer, advise them the shot was not possible based on a software analysis? We will attempt to assign some estimates to all the variables and determine a possible outcome. If we believe missing the guard will result in no worse than a steal of one, this analysis gives us a good start. Unfortunately, it is well below the known Expected Result for Option 1, 61.8%. Interesting results. For Estimate #3, if Gushue can score 80% of the time, even if he only scores a single point 50%, the call is nearly identical to Option 1. In Estimate #7, if we assume a score of one is not possible but Gushue will score half the time, the shot call will result in two or three points scored (40% and 10%) or a steal of one or two surrendered (40%, 10%) and Gushue wins 58.7%, below Option 1. However, increase the result of a deuce by 10% in Estimate #10 (steal of one becomes 30%) and we are above Option 1 at nearly 63%. Set a, c and e to zero and assume outcome of either a deuce or a steal of one. If Gushue succeeds 60% of the time, W = 63.3%. Set b, c, and e to zero and assume either a score of three or a steal of one. Gushue needs to be successful more than 43% of the time to make this the correct call. The numbers might start to confuse us and the final decision, which at first appeared incorrect, now appears fairly close. The ultimate answer depends on your assessment of how rocks will collide and move around the house, and the ability of Brad Gushue to hit what appears to be a small target on his front stone. In this scenario, we are less concerned with assessing Brad’s abilities. The final outcome, wrecking on the front guard, was unexpected and likely a low probability. If he attempted this shot repeatedly, under the same conditions, I suspect he would hit the target stone at least 9 times out of 10. What we are more interested in is our estimate of the action on the stones, and who will score what once the dust has cleared. Unfortunately, this will never be known. If someone set the stones up exactly as they were situated we could, perhaps, try to recreate the outcome. If one of our readers decides to attempt this experiment, or if you already have, please let us know. In all seriousness! Bringing some additional “non-math” analysis into the equation, if you will, is the consideration for the enormity of the moment, and the event. It is the Brier final and the position of being one up without hammer with three ends to play is, while positive, still only 62% headed to victory. Brad was no doubt drawn to visions of three points and a virtual lock on the Brier title (93% in fact). Even with a deuce the Newfoundland rink would be heading to the world championship 80% of the time. Looking back at all of our estimates, we still have Newfoundland winning greater than 50% of the time this shot is attempted. Perhaps it is worth the attempt at the big shot now – in the fourth-to-last end – when the opportunity presents itself, and take pressure off your team in the later ends of a tight game. Just as in golf, some curlers choose to “grip-it-and-rip it” with an aggressive style, whereas others are tacticians who plod about the course and minimize both risks and mistakes. Personally, I trust the mathematics and believe the shot call Gushue attempted was indeed too risky. Specifically due to doubts about the shot being make-able for three; not because his ability is in question. One point for Howard or Gushue appeared the most likely outcome, with some possibility of a deuce (no better than estimate #2 in table above). It is, unquestionably, up to the skip to come to a final decision. As always, if you use math, it might make the decision clearer. The use of mathematics to analyse game situations is useful in the later stages of a game and also for critical shot calls during the early ends. The John Morris call during the semi-finals of the 2005 Canadian Olympic Trials is a prime example of an early game decision that proved costly. After stealing a single in the second end, the Jeff Stoughton team had scored a deuce in the third end to go one up without the hammer. Morris then found himself in deep trouble, facing three Stoughton counters and several guards. The two apparent options available for the Calgarians were to either a draw to force Stoughton to a steal of one point, or attempt a difficult hit between two guards and remove shot stone to count a single. The port appeared small, but Morris was certain he could thread the needle and succeed in putting the score back to even. The shot wrecked on the front guards and Stoughton was handed a critical steal of three points. Despite a valiant comeback attempt throughout the remaining ends, Stoughton prevailed and advanced to the final, where his Winnipeg foursome eventually lost to Brad Gushue in the finals. What mathematics can help us determine is: how certain did Morris have to be that he could make the called shot in order for it to be the correct decision? If John makes the shot 100% of the time, it is the best call. He would much rather be tied without hammer than down two. Using available statistics, we can determine how assured he must be in order for the shot to be the correct decision. The draw is successful 100% of the time. Stoughton will always be held to a single point. The chance of John being unable to draw the full eight-foot rings is considered negligible. The hit either results in a single for Morris or a steal of three for Stoughton. The chance of rolling out is negligible. We will choose S as the single variable, indicating a successful shot by Morris. The math shows us that if Morris expects to make his shot through the port more than 58% of the time, it is the correct call. What at first appeared to be a foolish call now looks like a reasonable decision, based on statistical analysis. You are welcome to debate the shot call, and outcome, but the ultimate decision rests with John Morris himself, to assess if he can make the shot more than six times in ten attempts. John may have felt his chances were much higher; others would counter it was lower, but the numbers tell us how he can best make the final decision. Given an assessment of the Stoughton team and their abilities, Morris may determine that coming back from two down will be more difficult than 24.3%. Also, a draw is never 100% certain, therefore he may be more inclined to attempt the hit, even if his chances are as little as 50%. With all due respect to Linda Moore and Ray Turnbull, the recent game of Howard versus Stoughton during the round robin game of the 2007 Tim Horton’s Brier showed how even some of the most knowledgeable don’t understand statistics as it relates to curling. Howard is one up without hammer in 9th end. Two rocks remain. There is a corner guard and a Stoughton rock on the opposite side of the sheet in the back twelve foot. Richard Hart, the Ontario third, and Glen Howard discuss the options. Glen prefers a freeze to the back stone, but eventually Richard convinces him to play a draw around the corner guard. Rich’s argument is their uncertainty of the ice on the freeze attempt – Glen’s concern is the amount of curl he will get with his come-around attempt. Linda’s comments were something to the effect “Howard wants Stoughton to score here and prefers giving up a deuce to a blank”. Perhaps Linda did not properly express what she meant or in fact, does not recognize the real numbers. Howard would, mathematically, prefer a blank over Stoughton’s deuce. If, as the announcers stated, Howard preferred a deuce to a blank – why didn’t Stoughton take out his own rock rather than draw for two? If Howard is one up, he should win about 60% and if he’s one down with hammer he will win 40%. It is clear that a blank is preferred to surrendering a deuce. Then why, might you ask, does he not hit the Stoughton stone out? Howard is willing to risk a deuce by Manitoba because the chance that he may either steal or force Stoughton to one increases his chance to win. If Howard steals, he wins 88% of the time. If Stoughton is forced to one, he wins 75%. The chance that one of these outcomes may happen, overcomes the difference between 60 and 40 for one down versus one up. Let’s examine the Ontario decision and also determine if Richard or Glen had the correct call. From my previous article, “One up in Nine without Hammer” if we expect to give up a deuce roughly less than half the time, we should draw around the guard. I assume we all agree Glen can be expected to make a successful draw (where Stoughton cannot score two) more often than 50%. I’d suspect it’s as high as 80%, but he was unsure of the ice and considered the freeze instead. Because a steal is less likely (corner guard instead of centre guard) – it’s likely higher, say even 60% (see previous article for more precise numbers). Referring to the article “Aggressive Play in 9th end”, where no guard was available, I roughly determine that Howard needs to make either a freeze or “near-freeze” and avoid a deuce at least 80% of the time. Based on these numbers, our rough estimate to attempt a come-around is the correct shot. Assume a steal will not occur. This shows us mathematically that Richard’s call is correct. If you include the slight chance at a steal, we could also expect it more likely with the come-around than the freeze. Blank is not likely with the come-around. A freeze attempt makes a blank very possible. A deuce is, perhaps in Glen’s opinion, more likely to occur with a missed come-around. Though I’ve used 25% in both calculations for a deuce, Howard may determine he is more likely to give up the deuce on a come-around and would prefer the freeze in order to add the possibility of a blank. Ice conditions – Glen was not comfortable with the ice and with the shot and that can have an impact (though not mathematical). In hindsight, appears to be the case, Glen put his draw through the rings. Assuming acceptable ice conditions, I would play the come around every time. What would you do? Why do some players and possibly announcers believe it is preferable to be one down with hammer? They want the last rock. Top skips believe last rock puts the outcome in their hands. What they fail to realize, I suspect, is that very often the end results in no opportunity at two and, sometimes, a very difficult shot for one in order to force an extra end. In the example above, Howard needed to make a double on his last shot to score one and had no realistic chance at two as the end developed. My belief is the preferred position is actually one up without hammer in the 9th end. Four rock free-guard zone allows the team without hammer to force the play. The risk of a three exists, but I suspect the opportunity to steal or force your opponent to a single, and greatly increase your chance to win, is much higher. You are able to aggressively play the end with the risk of giving up a deuce and still having a 40% chance to win in 10. We have not yet derived the statistics to analyse 9th end results, but once we do I will be examining the numbers to determine if they support or dispute my theory. This article continues the discussion from “Curling with Math”, included in the 2006/2007 Black Book of Curling, available from Curlingzone at www.blackbookofcurling.com. Also reprinted in Dec 2006 article. It’s the 2005 Brier Final. Ferbey, appearing in the final game for a 5th straight year, is facing what appears to be a simple decision. It is the 9th end, and the game is tied. A miss by the opposing skip, Shawn Adams of Nova Scotia, has left the Alberta rink lying one with no other rocks in play. It is commonly accepted curling strategy to play for two (or more) when you have the hammer and hold your opponent to one (or steal) without last rock. In this case, Ferbey would be expected to draw to the open side of the rings and likely have a final shot at two or perhaps three if Adams attempts a freeze and makes a poor shot. David Nedohin, who throws the final rocks for the Ferbey team, discusses the options with Randy. Much to the surprise of fans and commentators, they decide to remove their own stone and play out the end for a blank in order to keep the hammer in the 10th end. The final outcome eliminated any need for second guessing the decision, as Ferbey won - David making a draw to the open four foot in the 10th end for the victory. Specifically we used math and statistics to analyse the decision by Ferbey to attempt a blank end in 9 in order to secure last rock coming home. An assumption made from that article was that Adams will always attempt to freeze to the Alberta stone, if Ferbey chooses to draw and lie two. 1. Determine the correct choice for Adam’s shot, if Ferbey attempts a multiple score. 2. Re-examine the Ferbey decision based on a weighting factor of Adam’s decision. First, we need to determine all the Expected Results (ER) and Variables (V) to be included and state which are being omitted. ERs are numbers, in percentages, taken from existing statistics. Variables are numbers, in percentages, which are estimated during a game situation. Variables are based on the chance of making a single shot or the expected outcome following a succession of shots during an end. The ERs, Vs and related assumptions I used are listed below. I have indicated in each case which letter is used to represent each ER or V.
These Expected Results are based on available statistics for 4-rock games played in the Brier, European and World Championships, Grand Slam and other WCT events, Provincial Championships, Olympics and Olympic Trials. In using these statistics, we assume skill is relatively equal, conditions are similar and shot making ability is similar. Alberta chooses to draw and lie two. Nedohin’s first stone lands on the tee-line in the eight foot, higher than shot stone, leaving a possible freeze, double or hit and roll. If Adams attempts a hit, he will not miss both rocks. Alberta cannot score greater than two. If we miss the double, Alberta will always score two. The chance they will miss is considered negligible. In the Ferbey decision, we assumed that Nova Scotia will always attempt a freeze. Now that we have analysed their options, let’s use a weighting factor to determine and re-examine Alberta’s options. We are Alberta, faced with an option to blank or attempt a multiple score in the 9th end. If we expect to make a perfect shot 50% of the time and leave little option for a hit and roll, then Adam’s will have no choice but to choose a freeze. But, perhaps 50% of the time our shot leaves an easy double. Let’s estimate that when this happens, 10% of the time Adam’s will freeze, 40% attempt a double. What is very clear is our desire for Adams to choose to hit. This increases our statistical probability of winning. What also comes into mind is the possibility of enticing Nova Scotia to attempt the double, by intentionally placing the rock in a better position for them to choose this option. This leads us into another application of statistical analysis, where we choose shots which may appear to be the incorrect call, but in fact are intended to lead the opposition into choosing an incorrect shot call in order to increase our chance of winning. For now I will leave it to the reader to ponder similar examples. There were very dramatic events in the recent final game to determine Alberta’s 2007 Men’s Provincial Champions. Kevin Martin took the game in heart wrenching fashion when Blake MacDonald, skip for the Koe rink, missed a draw in 10 and another in the extra end to hand him the title. An interesting moment is Martin’s decision in the 9th end. Kevin was down 2 with hammer, 7-5, and Koe had a single rock in the twelve foot. With their last stone, the Martin team opted to draw for a single point rather than blank and keep the hammer in the 10th. Feedback I’ve read on Curlingzone forums is that Martin felt taking two on the rather straight ice would be more difficult than stealing a single. What is the math in this situation? The mathematical difference is very small, less than 1.5%. This makes 2 down with or 1 down without as nearly a coin-flip decision. In this case, Martin weighed in the impact of ice conditions and determined a steal was more likely. The numbers indicate that when this situation occurs, a team should not quickly assume a blank the correct call. Here’s a scenario that was described to me by a friend of mine. One down playing the ninth end and our hero, throwing Red stones, has the hammer. His opponent is throwing his final stone, Blue. There are no rocks in play except for one Red stone at the back of the eight foot. The Blue skip is about to throw his last rock. We would expect him to hit and stick, hoping our hero noses for one or, at worse, blanks and remains one down coming home. Instead, the Blue skip chooses to attempt a freeze. This shot call appears to conflict with common curling strategy, but, using math, what is our analysis of this play? Let’s assume the odds of Blue missing the hit as negligible. Either he rolls out and a blank is assured or, Red rolls out most of the time for a blank. To simplify, let’s state the odds of a blank are 95%. If Blue makes the perfect freeze, our hero is forced to draw for one. If the freeze is off slightly (call it a “near-freeze”), the deuce is not likely but Red will be able to blank by blasting both rocks and rolling out as well. If the freeze attempt is too heavy or light or fails to cover part of the Red stone, a chance for two becomes possible. · If Blue misses, Red will always make the shot for two. Very close to our original result. This would imply that, based on our estimates, either decision is correct. Not very drastic changes, even if Blue steals 20% and forces Red to one 30%, we only increase our chances 3% over hitting. Given these numbers are very close, let’s use 62% (our original estimate), and make changes to the original variables on Blue’s shot. What does this show us? If Blue can make the freeze 60%, even if Red scores a deuce the other 40% of the time, our decision is equal to hitting. If, however, Blue gives up a deuce at least half the time, they are making the wrong call. However, making a perfect freeze, even at the top level, is very difficult. Our original estimate of 25% is likely high. I suspect the chance of a near-freeze is greater than 50% and the chance of a deuce is the greatest Variable in our decision. Notice if f = 0.2, n = 0.8 and m=0, we jump to 68%, but if we add 10% chance of a deuce we drop down to 64.5%. It is my opinion that Blue must be confident they will not allow Red to score a deuce more than 20% of the time, in order for the reward to be greater than the risk. I suspect that Blue was not aware of the actual statistics for 1 down in the 10th with hammer. Many competitive curlers believe (incorrectly) the number to be greater than 40%. I know many players who felt that it was 50% or slightly higher – prior to Curlingzone statistics being available. At first looking at these numbers, I myself was surprised at the results seen in 4 rock play. For what it’s worth, in this example Blue made a perfect freeze, Red was held to one and lost in the 10th end. If Blue misses, Red will always make the shot for two. We simplified in order to do a quick analysis. If we dig deeper, let’s create some additional scenarios. If Blue freezes, 95% Red scores one and 5% Blue steals. If Blue misses, 90% Red scores a deuce and 10% Red scores one. Only 1% higher than our original analysis. Our assumptions appear to be accurate for our purposes. Many game situations are similar and occur often enough that “off-ice” analysis can prepare a team better for these game situations. The article here is one example. This is similar to how poker players practice decisions away from the table. A coach could have a computer with a spreadsheet available to run scenarios and a time-out can be used to discuss. Players can make these decisions on ice and, with some work and practice, can examine even more complex situations. Let’s re-examine this article doing quick “in-head” analysis on the ice, per comment number 3. ¼ of the time I give up a deuce. If I do, I win 40% so ¼ of 40 is 10. ¼ of the time I force Red to one and win 75% so ¼ 75 is about 19. Half the time I make a near freeze. Usually Red will blank, and I win 60%, but sometimes we can steal or hold them to one, let’s say we win 64%. Half of 64 is 32.
b. I don’t trust the ice or my weight, I will hit because a deuce is likely greater than ¼. In poker, an amateur player may make the same decision as the world class player on whether to raise or call. However, the ability to work through the process and make more correct decisions and know why they are making them, is the difference between an average player who breaks even or loses, and a world class player who wins all the money. I believe this analogy applies not only to curling but many other areas in sport, the stock-market, and in life.